dead_poet wrote: Richardson has a $11 million offer from Seattle. Sounds like Rick is up next. Let's get it done. Its been definitely confirmed that Seattle does not have an 11 million dollar offer to Richardson. that was an erroneous report. Murray has been asked to take a pay cut. Tomorrow is deadline for his contact. Between now and then he agrees or will be released. dead_poet wrote: Murray has been asked to take a pay cut. Tomorrow is deadline for his contact. Between now and then he agrees or will be released. Honestly, this is fun of course, but the Vikings need to start re-signing their young core players. Especially Diggs, Kendricks and Hunter. 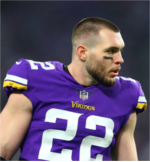 I could see letting Barr and/or Waynes go if they have to lose one of the young core guys since they've been the most inconsistent, but I'd rather not lose any of them than bring in another Free Agent, unless its on a 1 year deal. My guess is maybe Trevor Siemian is the other person...But just a guess. Diggs needs to be paid. Stacy Coley was making more last year. Thats why we need to let people like Murray go, or see if he will play for under 3 mil. Cause some good power back will. Maybe someone like Blount. And we need to start doing it now so it doesnt hit us too fast. I know Zim and Rick are smart, but the only reason I didnt really want Cousins is I knew we would be talking about cap space. And its never soon enough to work on this. PurpleKoolaid wrote: Thats why we need to let people like Murray go, or see if he will play for under 3 mil. Cause some good power back will. Maybe someone like Blount. And we need to start doing it now so it doesnt hit us too fast. 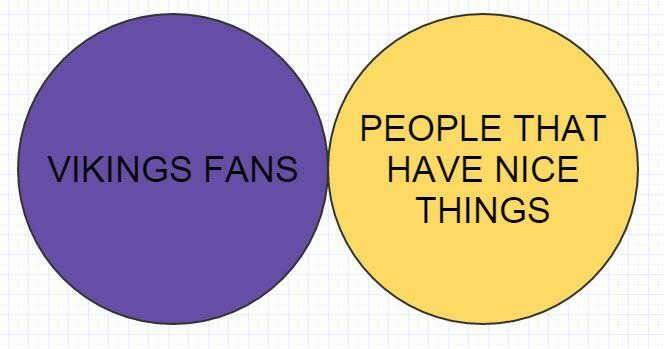 I know Zim and Rick are smart, but the only reason I didnt really want Cousins is I knew we would be talking about cap space. And its never soon enough to work on this. I’d take Murray any day over Blount. 1.) Blount can be a problem and 2.) he’s been a system RB. He was good in NE and that’s about it. He came on in the playoffs this year but outside of that did very little. Murray is a pros pro. Never have to worry about him outside of football. And can play in multiple systems. I want nothing to do with Blount. Outside of the Boise State incident, what trouble has he cause. He's been NWE twice and by all regards has been a model player. I'm seriously asking what have you heard as I might have missed it. I love him for the Boise State Incident. I can't believe that guy came up to taunt him after the game was over. He got just about what he had coming. I've always liked Blount since then. He also provides something this team needs, a sledge hammer. Rumor has it the mystery guest was Honey Badger. I've seen that a couple times too but nothing from reliable sources. This could get REAL interesting! Pondering Her Percy wrote: I've seen that a couple times too but nothing from reliable sources. This could get REAL interesting! My take is that Richardson fits a greater need and has been more dominant. Mathieu would likely play slot corner with safety capabilities. More of a luxury than necessity but if he can stay healthy, I'd be quite curious how Zimmer would deploy him. Unfortunately due to injury his play has declined.